The talk I gave at the Berkman Center last week is now available online as streaming and downloadable video and/or audio. There are also links to two great blog summaries. Click here to see and read more. Entertainment industry professionals have generally related to their audiences in terms of economic (market) exchange while fans have generally related to one another in terms of social (gift) exchange. In the case of music, audience members have long exchanged albums, mixtapes, bootlegs, and friendship with one another while exchanging little but money for product with musicians. The internet has enabled audiences to connect with one another, to share music, and to become visible to and interact directly with artists in new ways. As a consequence, music industries, like all entertainment industries, are forced to rethink how they work. I argue they are increasingly pushed toward models of engagement with audiences that integrate social and economic exchange. This talk will address how this happens in the innovative case of independent Swedish artists and music labels and raise questions about how new systems of value and reward may be developing. More information, including info on how to RSVP (required if you want to be there in person) is available here. 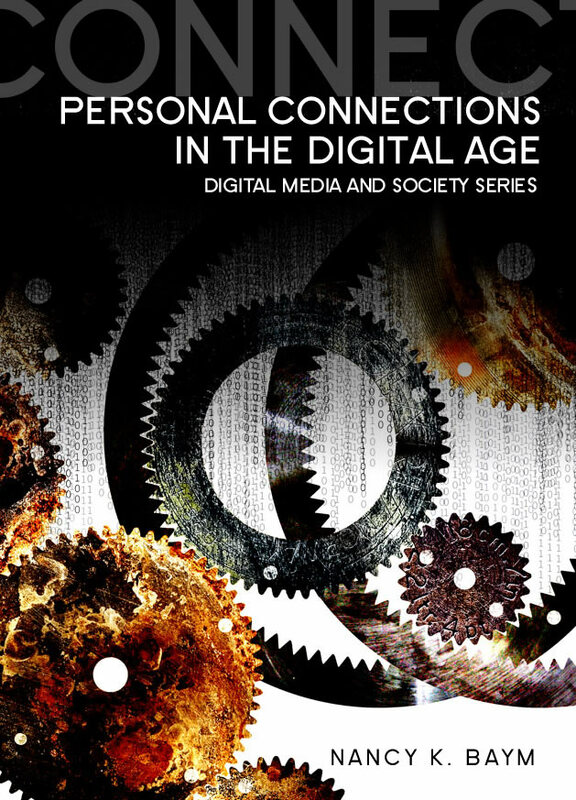 I am very happy to announce that my new book, Personal Connections in the Digital Age, can now be previewed on Google Books. It will be out in the next few weeks. You can pre-order it here. I’ll be there, running a conversation about being a good interviewer. Not to be confused with being a good interviewEE.It’s a bit tangential to the usual stuff I do, but I’ve sure interviewed plenty of people, and I’ve taught interviewing for years and years, so it will be fun and useful for all. After all, even if you aren’t a professional interviewer, odds are you’re going to need to ask someone a series of questions at some point in your life, and doing it well is way better than doing it poorly! It’s my first time at SXSW. Any advice on making the most of it, panels to catch, people to meet (you? ), etc, most appreciated! My Facebook news feed is overflowing with people complaining about the changes to Facebook’s news feed/live feed. They boil down to two complaints (1) the news feed has too little and (2) the live feed has too much. Facebook has also introduced a new form of suggestion — they are prodding us to “reconnect” with people, write on others’ walls, suggest profile pictures for those without them, and other forms of what can only be described as social meddling.This is causing much mockery amongst my peers as well as some horror — one friend reports that her friends have been urged to “reconnect” with a friend who passed away last summer. At the core of the newsfeed and the suggestions problem is the same mistaken belief, one that I think all of these sites share (I’ve seen it so often on Last.fm) — the men who run these sites are so enamored of their algorithms that they trust them far more than they trust us to make decisions about what we want to see. People know what they want but Facebook is sure that it knows better. It’s one thing when Amazon or Netflix suggests a book or film I may not know about. It’s quite another when Facebook suggests a person with whom I already have a relationship. If I were in charge of the site’s social engineering we would have checklists that allowed us to indicate whether or not we want to see who has friended whom, who has joined which group, applications, photos, notes, etc. We would have sliders to allow us to determine how much or which kinds of information we saw about which friends. The algorithms could learn from this, and adjust accordingly to make suggestions, but the end users would always have the power to override the algorithms’ suggestions. Facebook’s new suggestions also make the mistake of thinking that the world of Facebook is the only world there is, so that if people haven’t communicated on site, they haven’t communicated at all. Thus I am being urged to reconnect with a colleague I see several times a week, a friend is being urged to reconnect with her boyfriend, and I am supposed to reconnect with someone with whom I am working on a grant proposal right now. My own research shows that on average friend pairs on Last.fm use at least 2 other means of interacting. I would assume that number is higher for Facebook relationships. I recognize (I’ve seen the data) that there is very little one-on-one communication that takes place through Facebook (or any other social network site), but there are good reasons for that, and it isn’t that we haven’t been reminded to do so. It’s that either we are communicating just fine off site, or we don’t want to communicate more than we already do. Thus the suggestions feel like either ignorant or invasive intrusions into our ability to manage our own social lives without their computer-generated wisdom guiding us. I am just waiting for the sidebar suggestion: “Nancy, call your mother! She worries!” Because I’d never think of such a thing without them.